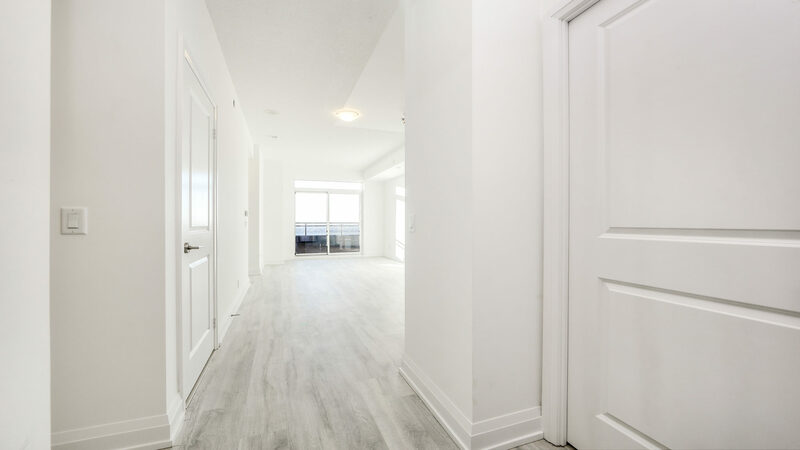 7900 Bathurst is a 1 bedroom, 2 bath condo located in Toronto’s beautiful Thornhill neighborhood. The mid-rise building is defined by clean, geometric lines and a very contemporary aesthetic. 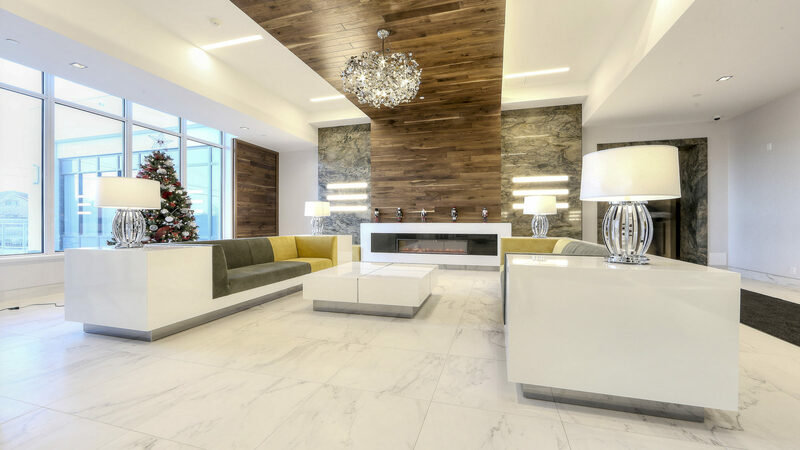 This lobby is simply stunning, with a fantastic mix of colours, materials and accessories. 7900 Bathurst also comes with a locker and parking, plus an exciting list of amenities that includes a gym and multiple pools. Unit 915 is certainly not short on space. At 688 sq. 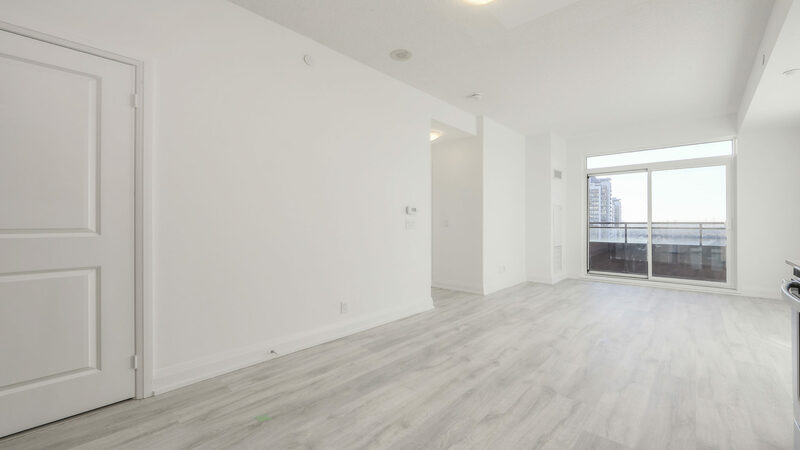 ft., 7900 Bathurst is incredibly spacious, even more so thanks to its open-concept design. 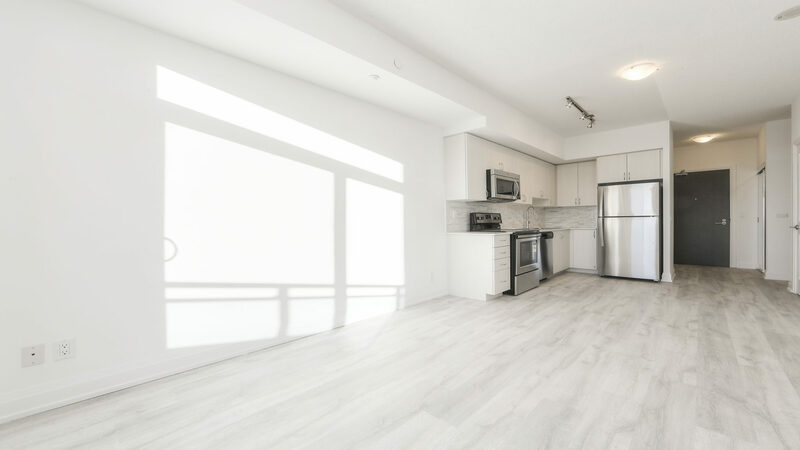 Other visual highlights include laminate floors of luxurious white, matching walls and cabinets, and high ceilings. The abundance of white creates aesthetic harmony, but also an atmosphere of calm. 7900 Bathurst’s kitchen is picturesque yet practical. Granite counters and stainless-steel appliances protect against everyday wear and tear, while a brick back-splash and white cabinets enhance the overall look. The silver appliances add a pop of colour to this kitchen. 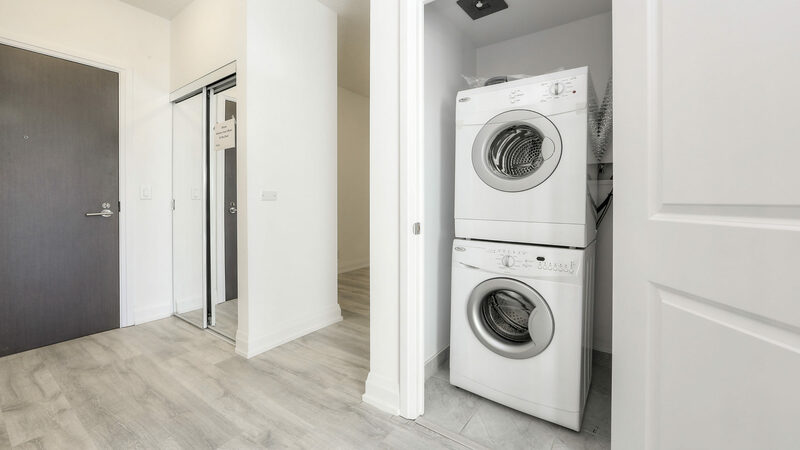 This brand-new Whirlpool washer and dryer takes up very little space. Right across the kitchen is the dining room. All you need is a table and a few chairs—and you’ve got yourself the perfect spot for cuisine and conversation. Note the seamless flow of colours and materials from one room to another. 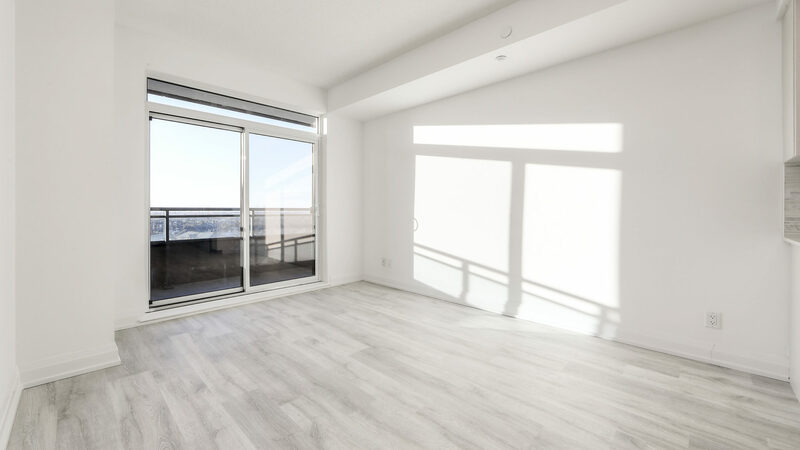 The living room is right next to the balcony doors, so you get plenty of sunlight. And since there are no tall buildings nearby, residents have a clear view of the park and sky. A well-placed sofa or armchair makes for an ideal reading nook. 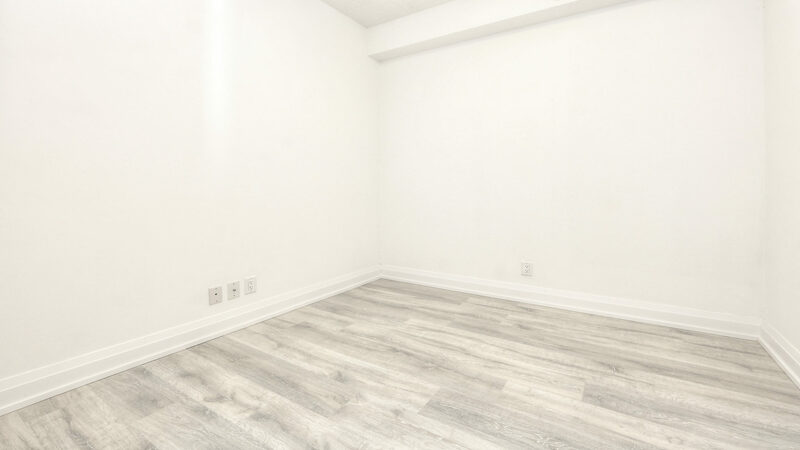 7900 Bathurst Street’s master bedroom is unique for several reasons. First, its floors are broadloom rather than laminate, so residents can enjoy the comforts of carpeting. Soft carpeting + a great view with plenty of sun-exposure are just some of the highlights. 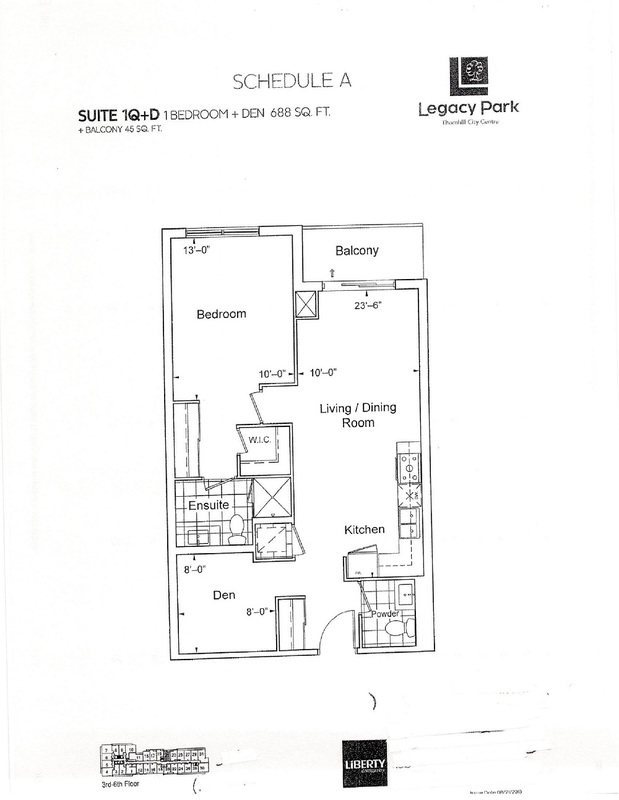 Furthermore, the master bedroom is also very spacious, well-lit, and has a huge walk-in closet and a 4-piece bathroom. This closet can handle clothes, shoes, accessories and anything else you throw at it. 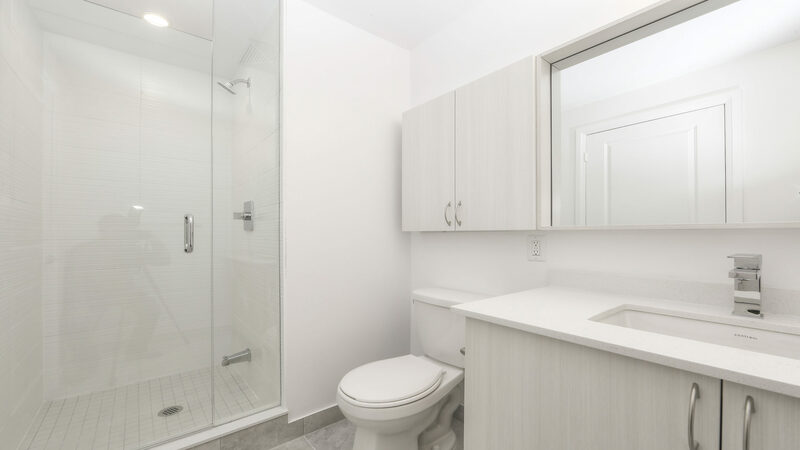 7900 Bathurst has 2 washrooms. The first is part of the master bedroom and includes a standing shower, large mirror, and several cabinets. The master bath is visually flawless, offering plenty of storage for toiletries. 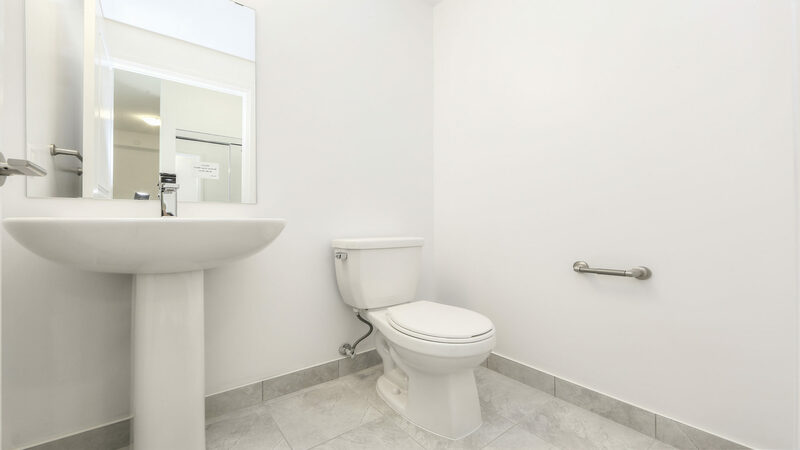 In addition to the master bath, there’s also a powder room in the hallway. 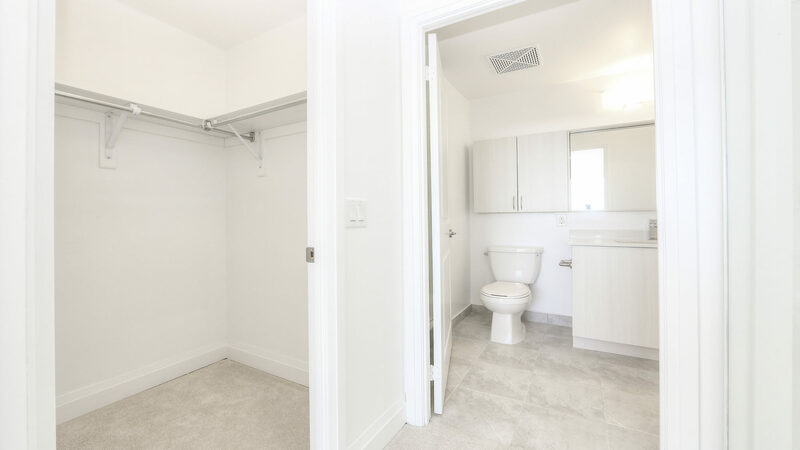 While smaller, the powder room is conveniently located across the den. 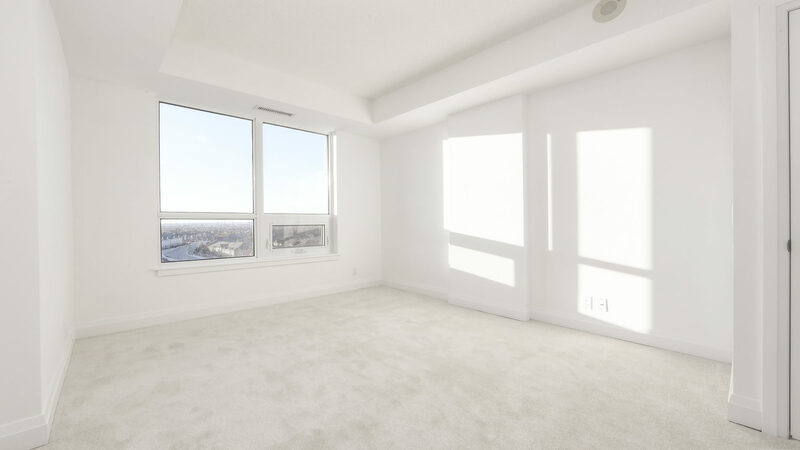 Speaking of which, 7900 Bathurst has a rather spacious den. Because of its size, it can double as a second bedroom or an office. The den is wide enough to house a bed, and laminate floors give it the same luxurious look as other rooms. Finally, the balcony is poised perfectly on the 9th floor, presenting a lovely view of the park and surrounding houses. The absence of high-rise buildings gives residents a spectacular, uninterrupted view. 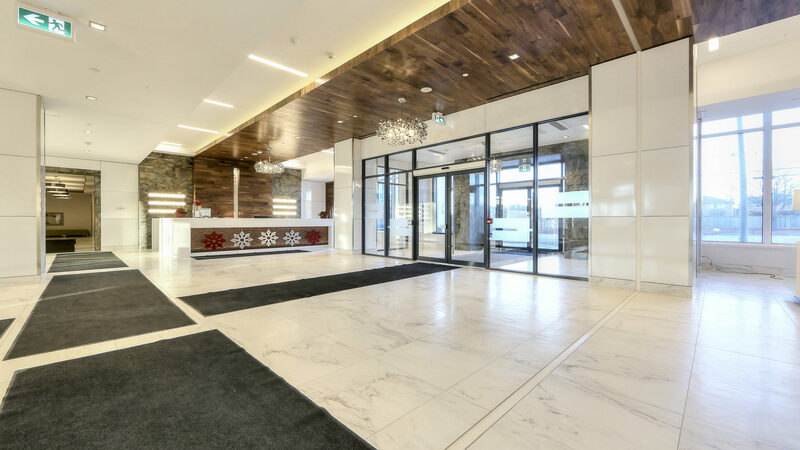 Concierge service is just one of 7900 Bathurst’s many perks. 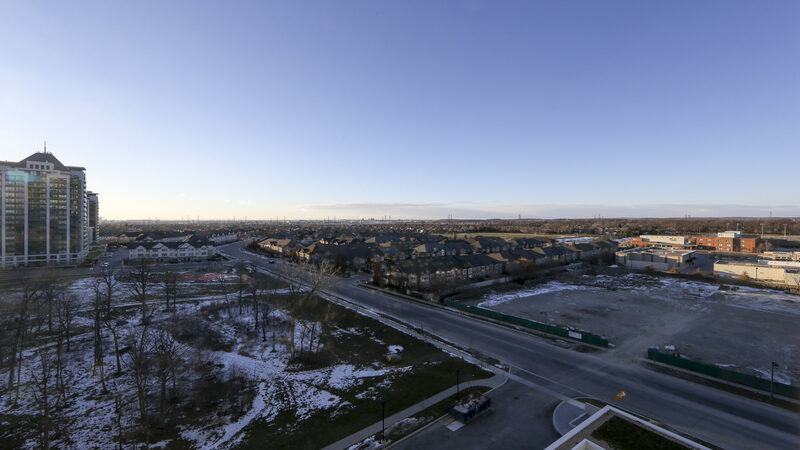 Thornhill offers the best in suburban living, with easy access to food, fun and shopping. 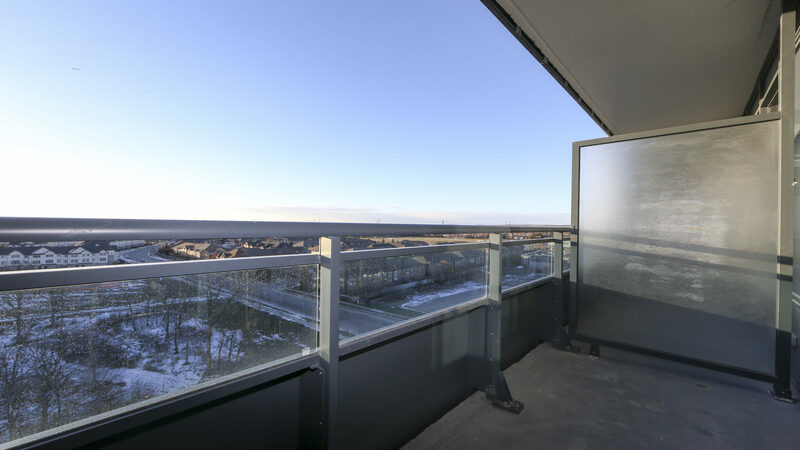 One of 7900 Bathurst’s biggest advantages is that it’s located within walking distance of everything. Whether it’s retail, restaurants, transit, synagogues or parks (like the one across the street), everything you need is nearby. For example, there are 5 schools less than a kilometre away. These schools range from Pre-K to high-school, offering both public and private education. 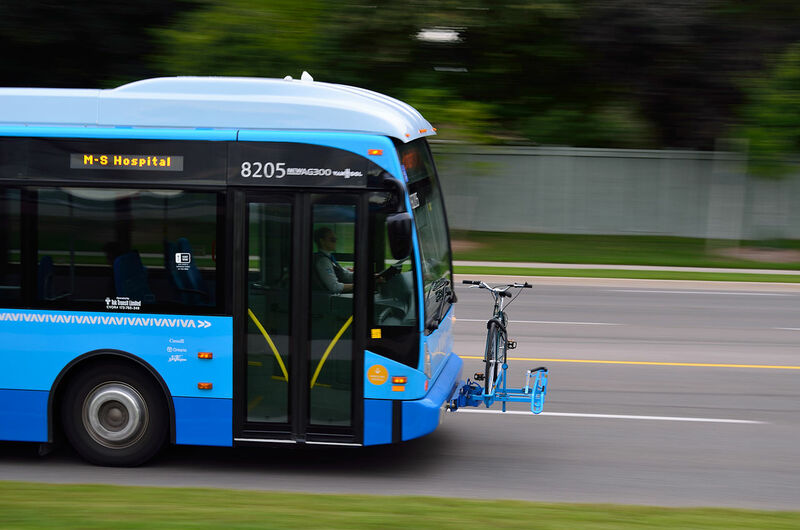 You’ll also find a pharmacy and Shoppers Drug Mart 2-minutes from your doorstep. And there are at least 5 cafes, restaurants and dessert shops within 300 metres of 7900 Bathurst. 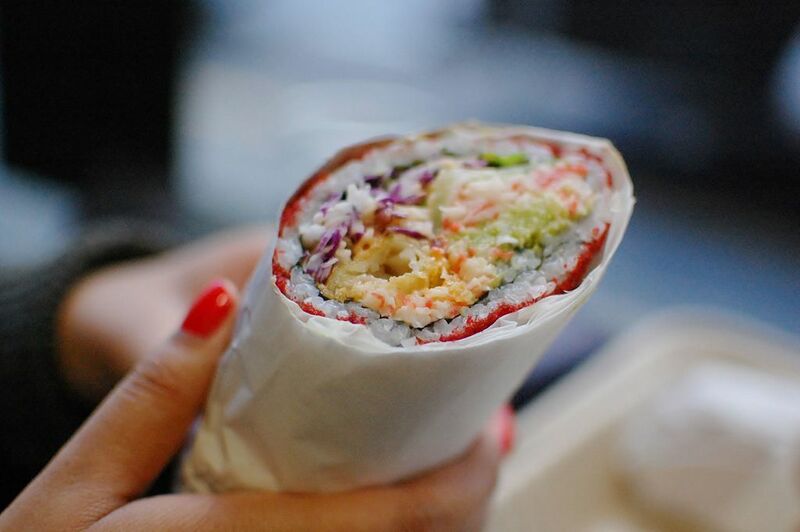 These include Mexican-Japanese fusion SU&BU, Amalfi Coast, which specializes in “authentic Italian cuisine” and Yogurty’s, a frozen yogurt shop. And of course there’s a Starbucks nearby, so you can kick off your mornings with something sweet and sugary. This view from the entrance shows just how massive the condo really is. 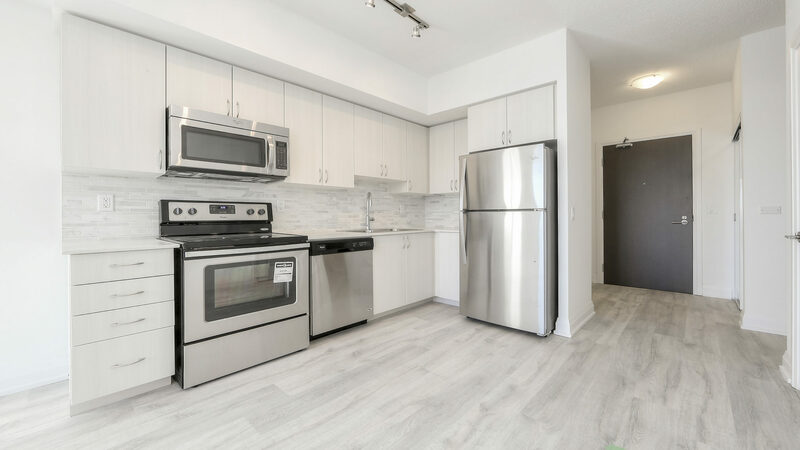 7900 Bathurst Street has everything you need. 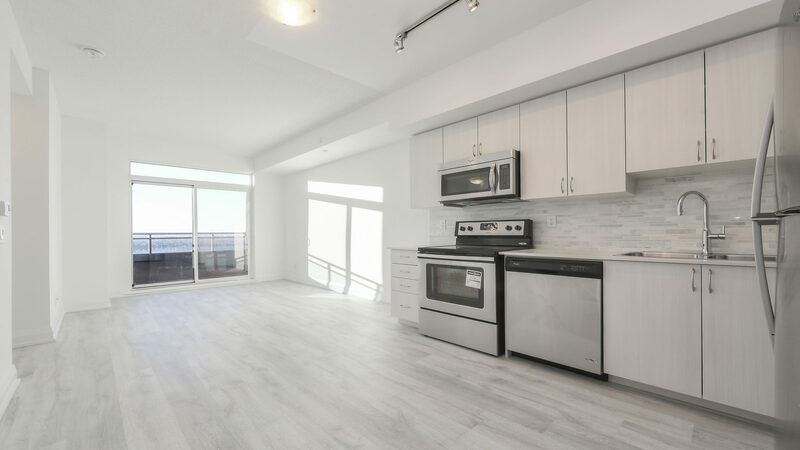 Beautiful, spacious interiors with a large master bedroom, 2 baths, a convertible den, and sweeping balcony views. The building is outfitted with luxurious amenities, from concierge service and multiple pools to a state-of-the-art gym. And outside, you’ll find the finest multicultural restaurants, grocery chains, and green-spaces Thornhill has to offer, all within walking distance. 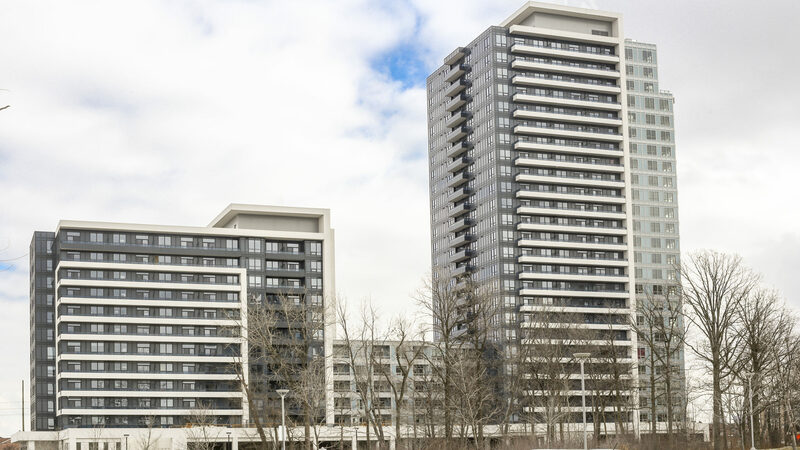 Want to learn more about 7900 Bathurst? Contact me below for more details.